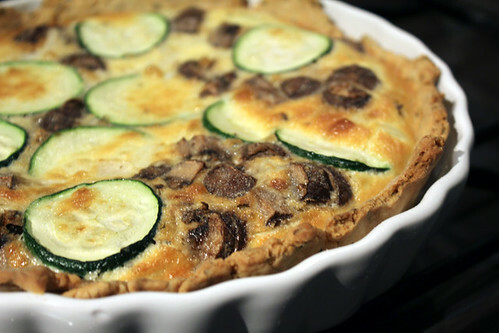 Courgette and Mushroom Quiche | Abandon Spoon! 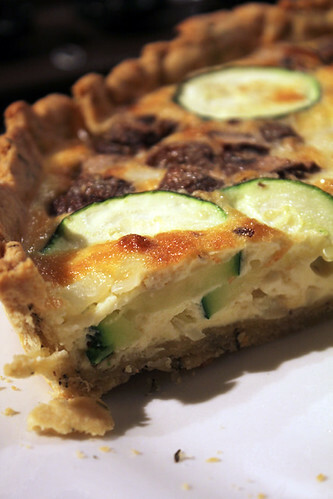 My first attempt at a quiche- I don’t know why it’s taken me so long to try it. I was inspired after having been watching episodes of the British Bake Off and wanted to force myself to try recipes that I’ve never tried. So I went in search of a good recipe and adapted it to my own tastes. And I have to say it turned out pretty well. Mary Berry would have been pleased as I didn’t have a soggy bottom! 1. Sift the flour into a large bowl, add the butter and rub in with your fingertips until the mixture resembles fine breadcrumbs. 2. 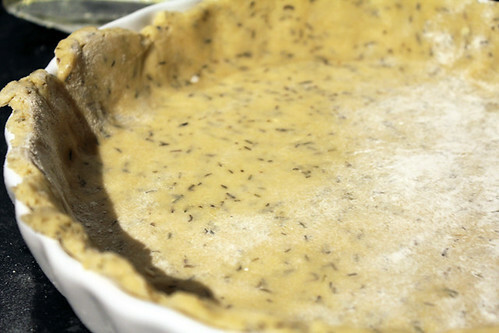 Stir in the salt, then add 2-3 tbsp water and mix to a firm dough. Knead the dough briefly and gently on a floured surface. Wrap in cling film and chill. 3. 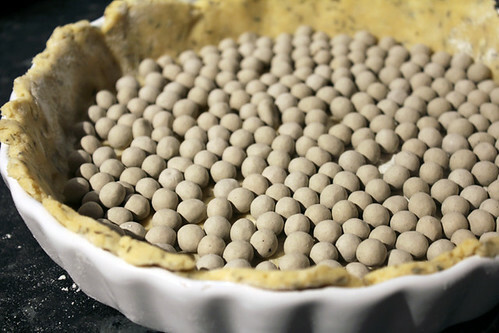 Roll out the dough and place in a greased dish and place baking beans in the middle. 4. Bake for 20mins at 190C. 5. For the filling mix together the eggs and cream and seasoning. 6. Take the pastry out of the oven and take out the beans. 7. 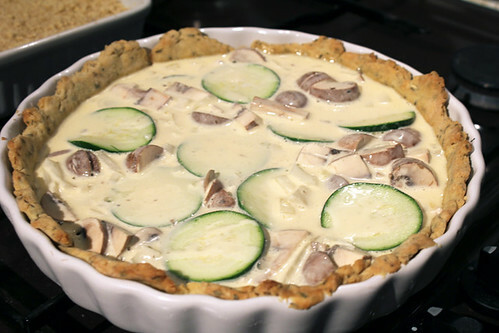 Place the slices of courgette and mushroom on the pastry and pour over the filling. 9. Remove from the oven and leave to set. Your first attempt sounds great and looks delicious. 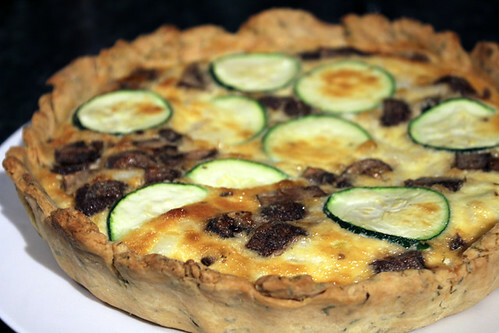 How many courgettes and mushrooms did you use ? Going to try it today !